Let’s get right to it. 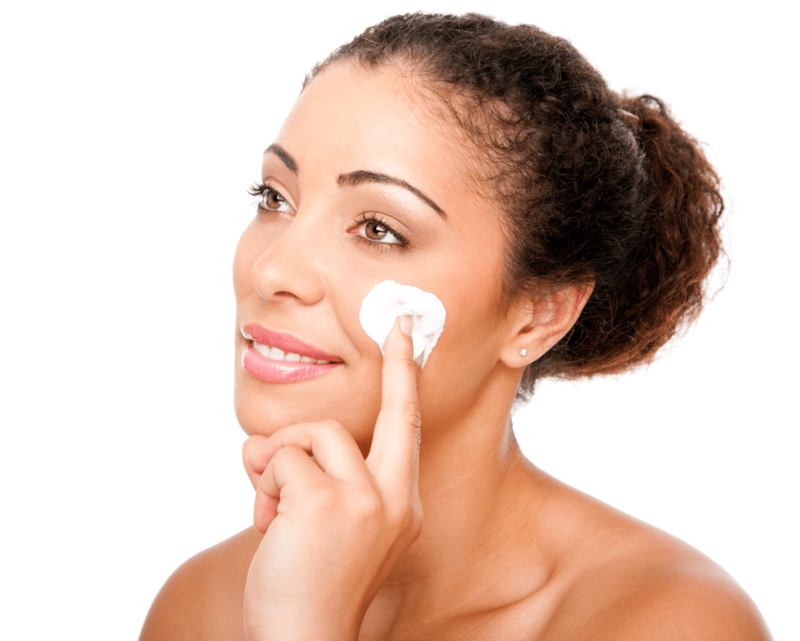 Preservatives are specific ingredients added to skin care that kill bacteria. They also prevent product contamination from yeast and fungi. Some preservatives can act against all three, whereas other will be more limited and can be combined to achieve broad spectrum protection. Despite mixing ingredients in a sterile environment, contamination will eventually get in and so preservatives are needed in every product that has been formulated with water. A water-based product has a shelf-life of approximately 2-3 weeks, providing it is refrigerated. When it comes to manufacturing skin care products on a larger scale, this isn’t necessarily a realistic way of storing them, and so preservatives are added to enhance the shelf-life of the product and prevent contamination throughout that period. It seems that for decades entrpreneurs placed emphasis on the long term shelf life of products versus delivering the actual benefits of purity and natural vitality that non toxic products may deliver naturally. So What is the Problem with Preservatives in Skin Care? Some companies are advertising their skin care products as ‘free from preservatives’ yet as the product doesn’t require refrigeration, it’s safe to say this is incorrect branding and many will argue that preservatives are necessary in all skin care products. 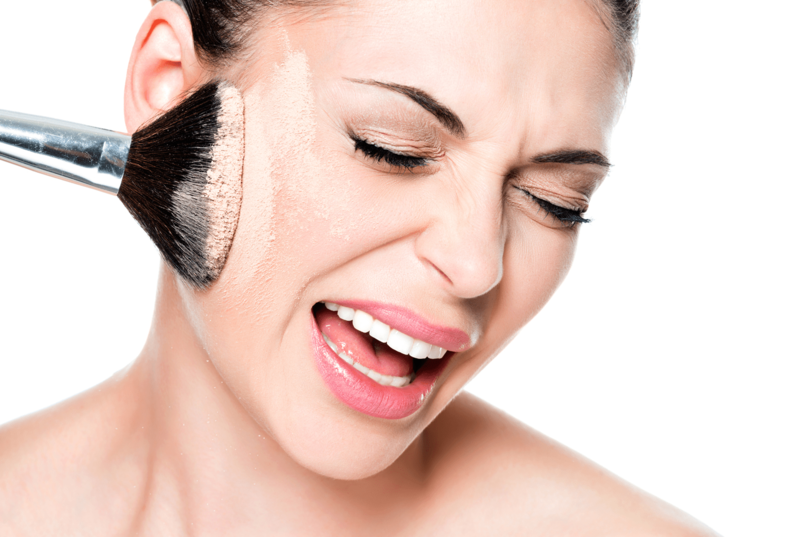 Parabens are the most commonly used synthetic preservatives within cosmetic products. The most common of which are methylparaben, propylparaben and butylparaben. Normally, more than one paraben will be used in a single product, combined with other types or preservatives and this allows a lower amount of each preservative to be used whilst increasing the protection against microorganisms. A case study, conducted in the UK in 2004, showed small traces of paraben within women with breast tumours but the study didn’t prove that paraben caused the cancer and did not compare the levels of paraben with normal tissue. This has sparked a large amount of consumer alarm and scrutiny which has led to many manufacturers altering how they preserve their products. Can Your Skin Care Cause Cancer? The initial formulation of natural products in the 90’s was dismissed by many as a passing fad. 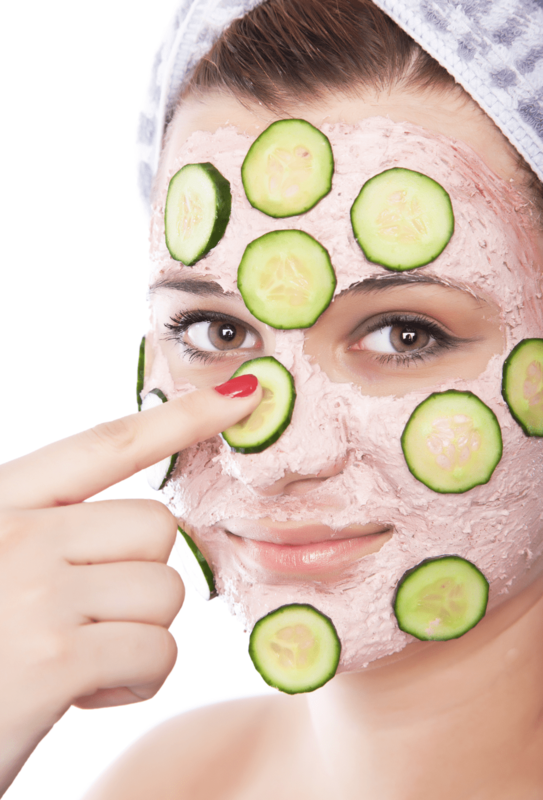 The word ‘organic’ hadn’t yet reached the general world of skin care consumers. Looking at the range of products available today, it’s clear that ‘organic’ products are now much more important to consumers and there could be a very important underlying reason as to why. Despite dismissing the findings of the 2004 case study, Clean Makeup (from Colby College) reports how parabens can mimic oestrogen and therefore disrupt the body’s hormone system. Cornell University further supports this idea through their assessment of the link between oestrogen and breast cancer risk through exposure by concluding that a high lifelong exposure to oestrogen can play a role in stimulating cancerous breast cells. These chemicals are more commonly found in toys, vinyl flooring, detergents, food packaging and other household items due to their characteristics for making plastics more flexible and less brittle. However, there has been a history of their use in cosmetic products such as nail polish and hair spray. These substances contain petroleum. They are chemical products made from the raw materials of petroleum and although they haven’t been definitively proven to cause cancer, consumers are often shocked to find that they’re used in skin care products. Commonly used substances such as paraffin wax and mineral oil contain petrochemicals as ingredients. A number of our skin care products contain these petrochemicals and the alarming amount of research suggesting that they act as carcinogens is starting to become a concern, especially when many large brands still use petrochemicals in their products. Although fragrances may smell nice, they’re actually a combination of some 3,000 chemicals including hazardous coal-tar and petrochemicals. This has introduced an increase in skin care labelled as ‘fragrance free’ in an attempt for brands to show they’re actively reducing the number of chemicals in their products, but that doesn’t necessarily mean that this is being regulated. The actual term ‘fragrance’ can refer to a mixture of over 100 ingredients that contain a plethora of carcinogens, reproductive toxins, hormone disruptors and allergens. This is applicable to not only the fragrance in skin care products but perfumes too as it’s cheaper for companies to replicate smells with chemicals than to source them naturally. This ingredient is a composition of several non-volatile alcohols and is used as a skin-conditioning agent, emulsifier and solvent yet it’s one of the most irritating cleansing agents used in skin care products. SLS is commonly found in a wide variety of skin and hair cleansers including facial washes, shampoos, shower gels and body scrubs due to its cleaning ability to remove dirt and grime where soap can’t. Generally speaking SLS is tolerated by most consumers but creates irritation in those with sensitive skin. Despite this there are a variety of claims that detail the harm that SLS can do, including long-term permeation of body tissues, producing toxic fumes when heated and possessing corrosive properties. Similarly to parabens, this chemical acts against bacteria and also has some antifungal capabilities. It’s safe to use in concentrations of up to 0.5% but has been proven as a formaldehyde-releasing preservative with the potential to cause damage. Due to the release of formaldehyde, this preservative has been known to cause a lot of controversy and can be found in practically all skin care products including moisturisers, anti-ageing products, cleansers, foundations and shampoos. Compared to skin care, nutritional supplements are potentially a neglected topic when it comes to the preservative debate. There is a lot of discussion on the internet as to whether vitamins are something that we should even consider. If we’re eating healthily then surely we don’t need to take additional supplements in order to keep ourselves healthy? There is concern that poor quality supplements will in fact have no effect on our bodies and if they’re presented in a form that’s not easily accessible, they’ll simply pass through our systems without providing any sort of nutritional advantage. This alone can cause apprehension as we are simply creating more work for our bodies with no discerning benefit. It’s generally believed that poor quality nutritional supplements will contain more fillers and preservatives in order to extend shelf-life, just like skin care products. 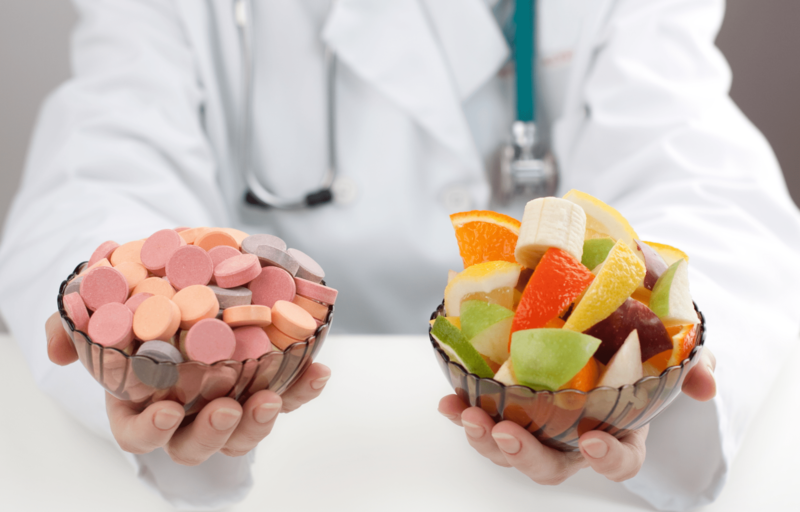 Many vitamins have been known to be labelled as a recommended choice by doctors, yet this in itself is false marketing as doctors are trained in health, not nutrition. Similarly to the previously assessed skin care preservatives, some vitamins not only use artificial flavours and colours but have been known to list ‘lightly polished with vegetable oil’ as an ingredient, something which has later been discovered to be carnauba wax, also used as car wax. The main issue that stems from this particular preservative debate is the fact that nutritional supplement preservatives abide by the same laws as synthetic food preservatives yet the proposed changes by the FDA (in America) brings to light the possible cancer-causing substances that are being used within supplements. You Don’t Want Chemicals in Your Food, Right? It’s a long-standing debate that highly processed food contains unwanted chemicals that are bad for the body. And a diet high in these processed chemicals can lead to a number of health issues. So if we’re making a concerted effort to eliminate chemicals from our diet, why are we still applying them to our bodies? When using skin care products that are high in toxic preservatives, a large percentage of those toxins are being absorbed directly into the blood stream through our skin. Some of these toxins will have an immediate reaction, like the irritation caused by SLS, but some of them have longer-lasting and more deadly impacts like the cacogenic characteristics of petrochemicals and parabens. Studies have shown that hormone like chemicals in skin care can, once absorbed through the skin, be present in breast milk, a few hours after application. Nutritional supplements are viewed as having a positive influence on the body. The sole purpose for ingesting them is to help boost the vitamins and minerals within the body, yet when pairing this with the same synthetic preservatives found in your food, it can seem to counterbalance the act of taking the vitamin in the first place. There are a number of reasons why manufacturers may choose to add these ingredients to nutritional supplements such as: helping processing, extending storage shelp-life and in turn profits, keeping costs down, adding bulk and working as binders but it’s hard to believe that these toxic, non-beneficial substances will actually help. Is there a natural preservative? Of course there are natural preservatives that could solve the issue of synthetic ingredients within skin care and nutritional supplements; however these are generally more expensive in attaining. It does also reduce the shelf-life of a product from a few years to a maximum of six months and once the product has been opened, it often needs to be used within 30-75 days, as that which is natural will tend to oxidate once opened and in use. This in itself can prevent many such pure, natural products making it into High Street shops, as National Chains prefer products that can survive in the supply chain for up to 36 months, before we eventually walk into a shop and make our purchase. The benefit of choosing a natural preservative over a synthetic one can show in a number of ways, including the application to sensitive skin without irritation. Many natural ingredients such as neem oil and grapefruit seed extract not only act as antibacterial agents, but also have healing properties too. Of course, it is essential they are tested for purity and toxicity prior to being included in a product, but if natural ingredients are well sourced, senstively combined and the correct measure, they can have a transformational effect on the actual product and its effectiveness. As you can imagine, the use of natural preservatives also create a number of issues for manufacturers both big and small. The ability to combine the right ingredients to make a single product that can be safely applied to the skin whilst using natural preservatives is perhaps the biggest challenge out there. Yet it’s not something that can’t be overcome and there are in fact a number of companies that have taken this task on and conquered this problem already, trailblazing a new way forward with exciting products. It seems that over time more manufacturers will have to fall into line with this approach as it is a trend that customers are demanding in ever increasing numbers, once they become aware and conscious as to what the choices, options and health consequences might be for any given decision. In short, today people are becoming less tolerant of everyday toxins in all aspects of daily life. With skin care chemical regulations being too relaxed, many toxins are still being used in our everyday products and despite evidence showing how dangerous they are, the European Cosmetics Regulation Act from 2013 is still not picking up some of the most harmful ingredients in skin care products. Over time, the realisation and evidence of the harm caused by these ingredients has left cosmetics companies such as L’Oreal changing how they operate and a burst of ‘fragrance free’ and ‘natural’ products have made their way onto the high street. This might seem like a step in the right direction, but ultimately it leaves a lot of room for toxins to still appear. 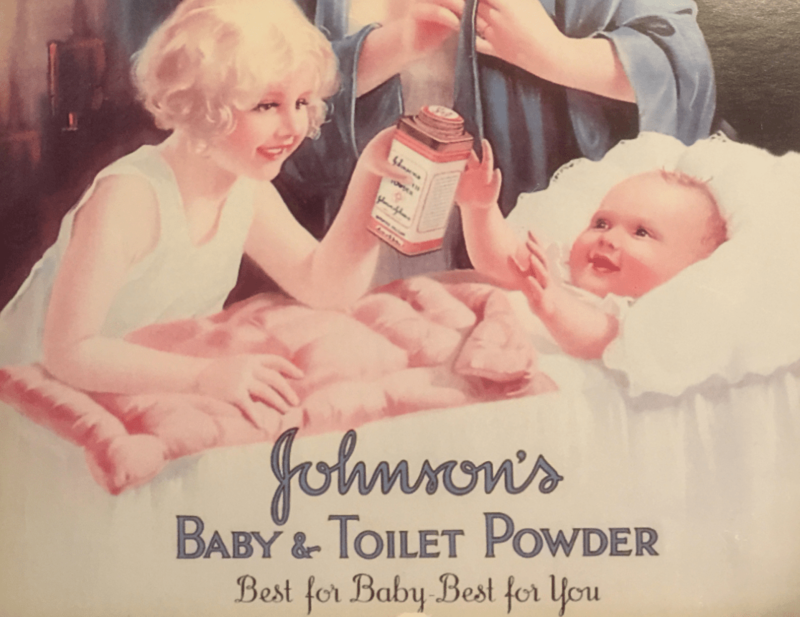 Johnson’s Baby Powder – Ovarian Cancer? In fact the recent 2016 report from Global 2000 ., an environmental research organisation re-tested several thousand products within Europe to see if progress had been made over the last few years since it last conducted a study – identifying problem products and manufacturers. The result, whilst some manufacturers have changed their formulations to remove some of the “bad boys” from their products, a lot of toxins are still being incorportated into products bought and used daily in bathrooms across Europe. What is also shocking, is that even if manufacturers accept that they should discontinue a product and go with a less toxic option, they will still keep the “obsolete” toxic products on the shelves until thay are all sold and the supply chain is cleared. So returning to the upsurge in “natural” labelled products, what can we say about these ‘natural products? Is natural really natural? Turns out, for a product to be labelled ‘natural’ only 70% of ingredients need to be naturally sourced which leaves upto 30% of the product potentially made from synthetics. Although products like these contain some natural ingredients, it doesn’t mean that they’re danger free. In fact this is entirely a marketing-ploy in order to create a better outward appearance for them to compete with brands that are using terms such as ‘organic’ – a term that is more highly regulated. Hence, the ingredients found in many cosmetics would shock a number of consumers and you wouldn’t ever consider eating a food product that contained any of these preservatives, yet we are still seeing a vast majority of consumers purchasing these products, applying them to the skin, potentially because it’s the easier option. Can we ever get to the truth? First place to start is with a Full 100% Declaration (INCI) of ingredients – as many products may only display a partial list. Often companies with nothing to hide display 100% of ingredients as ultimately this is the only way to fully know – what’s what. Beyond this, within Europe there are a number of institutes and organisations which certify and confirm the credentials of skin care cosmetic products and nutritional supplements – such as the LACON institute, the LEFO Institute, the Dartsch Institute, the ECO CERT organisation and the comparison portal Cosmetic Analysis. Respectively they certify raw material ingredients independantly from the manufacturer, quality assure products for potency, dosage and toxicity and inspect and certify so consumers can better understand what is in the marketplace seperate to the marketing and branding messages being promoted by the entrepreneurs and PR specialists. Here at Pure Natural Fresh, we are dedicated to recommending to customers the best products made entirely from natural ingredients and which are totally toxin free. For us, it is a concern and revelation that many don’t understand the preservatives found in their everyday skin care products and nutritional supplements. Mass production techniques, long supply chains, mega warehouses and storage facilities, container ships full of product have moved us a long way away from products with natural active ingredients being freshly delivered and administered. As with so many aspects in life, what we tend to know, is alot less then could be known. We are hoping, over time, to raise an interest and awareness in a better way of life through natural, fresh, vegan products made entirely with natural ingredients with not a toxin in sight. If you want to be kept up to date – then subscribe to our occasional eNewsletter, drop us a line, add a comment or just drop by occasionally and see what’s afresh. 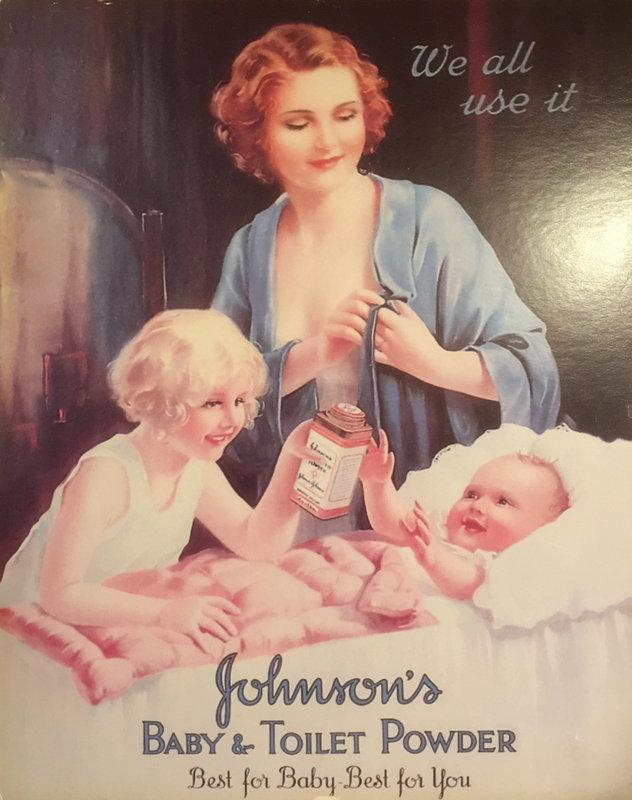 Johnson’s & Johnson’s Baby Powder – Ovarian Cancer?